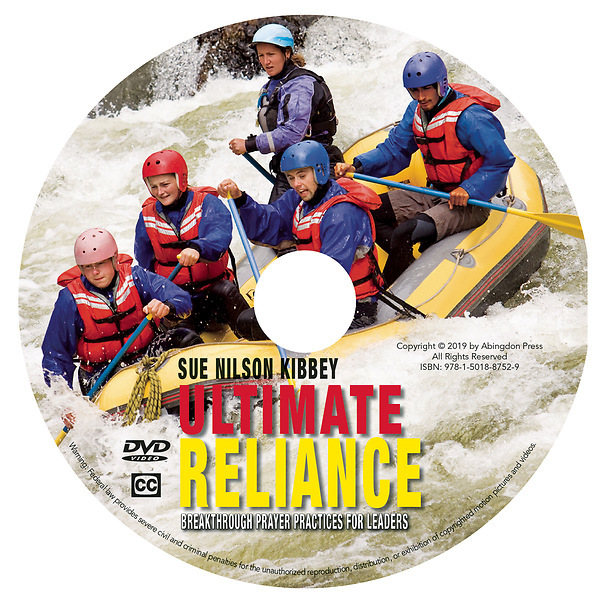 This DVD, available exclusively through Cokesbury, contains six video sessions that accompany the study provided in the main book, Ultimate Reliance: Breakthrough Prayer Initiatives (ISBN 9781501870934). The book and video together help ensure a truly transformative experience; therefore, both the book and the DVD or streaming videos are required for effective study. Breakthrough prayer, a prayer process that has proven to be extremely effective for personal spiritual renewal, can have a significant impact on the members of church leadership teams as well. Author Sue Nilson Kibbey's classic church leadership book, Ultimately Responsible, and her most recent release Flood Gates: Holy Momentum for a Fearless Church, are followed by this new resource that will strengthen the "flood gate" of your breakthrough prayer practices both collectively and individually. In Ultimate Reliance, you’ll learn how adding breakthrough prayer to congregational and church leadership groups can change everything, transforming what might have become routine administrative work into a God-led spiritual adventure. This powerful, five-week study includes discussion questions, application ideas, and a breakthrough prayer practice for each chapter. Five streaming video sessions plus an intro video are also available. Ideal for use with your church council, board, leadership team, class, small group, or entire congregation—wherever Christians long to build breakthrough prayer practices as the ultimate foundation for everything else. The DVD is closed captioned. Video segments run approximately 4-15 minutes each. Breakthrough prayer, a prayer process that has proven to be extremely effective for personal spiritual renewal, can have a significant impact on the members of church leadership teams as well. 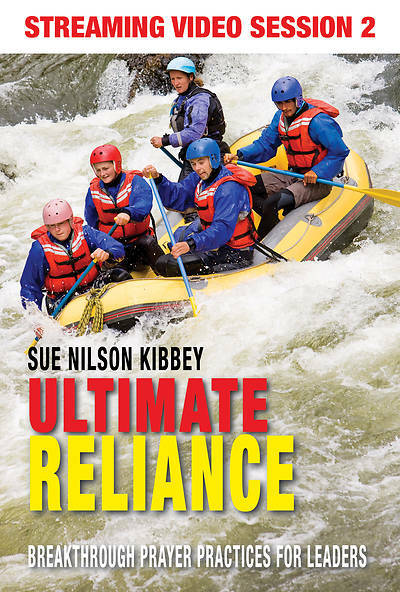 Author Sue Nilson Kibbey's classic church leadership book, Ultimately Responsible, and her most recent release Flood Gates: Holy Momentum for a Fearless Church, are followed by this new resource that will strengthen the "flood gate" of your breakthrough prayer practices both collectively and individually. In Ultimate Reliance, you’ll learn how adding breakthrough prayer to congregational and church leadership groups can change everything, transforming what might have become routine administrative work into a God-led spiritual adventure. This powerful, five-week study includes discussion questions, application ideas, and a breakthrough prayer practice for each chapter. Five streaming video sessions plus an intro video are available exclusively through Cokesbury.com or as a set on DVD and are referenced throughout the book. The videos are designed to help ensure participants get the most out of the study experience. Ideal for use with your church council, board, leadership team, class, small group, or entire congregation—wherever Christians long to build breakthrough prayer practices as the ultimate foundation for everything else.